Millions and millions of homeowners today have refinanced their mortgages and some of them are even considering refinancing it a second time. However, even though these rates are hitting a rock bottom low, refinancing is not the correct option to choose for every homeowner. 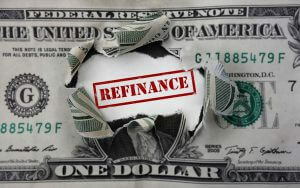 Following are the six reasons why you should definitely opt out of refinancing. With a very small loan amount, it can become very difficult to save enough money by refinancing to make this entire process worthwhile. For instance, if you refinance a $750,000 loan from 5.5% to 4%, it might yield you the monthly savings of approximately $678. However, savings for a $75,000 loan will only amount to approximately $68 each month. Apart from this, lenders will often lack the additional fee or interest rate premiums for a small loan amount, thus it becomes very difficult to obtain a rock bottom mortgage rate. Refinancing a large loan might result in noteworthy savings; however, getting a considerably better interest rate is very important over the long term as well. While it is possible to save a lot of money by refinancing to a slightly lower interest rate, it is a painfully slow and steady process. Taking into account the low mortgage rates we have today, shoot for an interest rate of at least 1% lower than your current rate to make both your time and effort worthwhile. While refinancing at today’s low rates can sometimes translate into huge monthly savings on the mortgage bill, those savings do not usually come without noteworthy upfront costs. If you have only a few years before you are expected to move or simply refinance again, you may not want reap the benefits of saving from a lower monthly rate. There are numerous ways in which you could refinance and save some money alongside with “no cost” refinance plans even if you have a very short time frame. However, all of these options often come with complex interest rates, reducing all of the various benefits considerably. If you have already refinanced and reduced the term of the loan you have taken, you might be forced to obtain a longer term loan when you refinance. Characteristically, the shortest fixed rate mortgage term is ten years. If you have less than ten years remaining on your loan, the one way in which you can ensure savings is to refinance the fixed term loans and then make payments to reserve the remaining term. Federal Reserve policies have recently driven down short term interest rates to unparalleled lows. As some of these short term rates administer the interest rates for adaptable rate mortgages, a number of the borrowers have, of late, seen their interest costs fall as the new rates have sunk to the 2%-3% range. Refinancing to a fixed rate loan today might help in eliminating the interest rate risk that comes with ARMs; nevertheless, this security comes at a very high cost and higher interest rates. Holding onto an ARM with a rock bottom interest rate, for the time being, may not be such a depraved idea. Getting a fresh mortgage in today’s very tight lending climate is not fun nor easy. If your current lender does not offer a streamlined refinancing program, it may be a very time consuming process. In addition, if the monthly savings are too small or the reimbursements take too long to materialize, the costs of refinancing may outweigh the reimbursements.